So today I’m super excited because I have yet another easy tutorial to share with you guys. 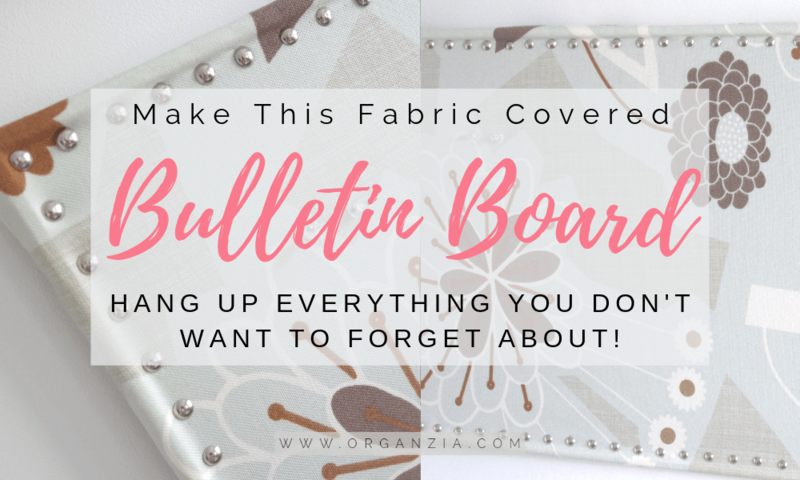 Make your own Fabric-covered bulletin board! Great for all the papers the kids bring back from school and all your other important stuff you don’t want to forget about. And not to mention the fabric covered version just looks so much cuter than the plain and boring original one. 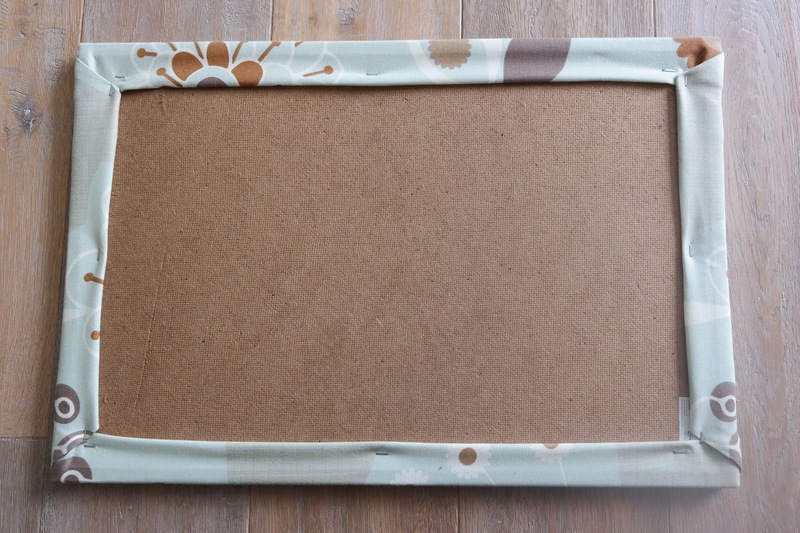 Lay your board on top of the fabric and measure up how much you’ll need. I added approximately 4 inches extra fabric around the board. Decide how far apart you want the nail heads to be, and start pushing them on your board. Now there’s really no excuse for losing any papers, just pin it to your board and you’re good to go. If you’re looking for even more DIY projects to help keep you organized, be sure to check out my tutorial, for a super easy and practical dry and erase calendar. How To Make Lego Pencil Holders – Budget Friendly Kids Craft Idea! Oh my goodness this is super cute! 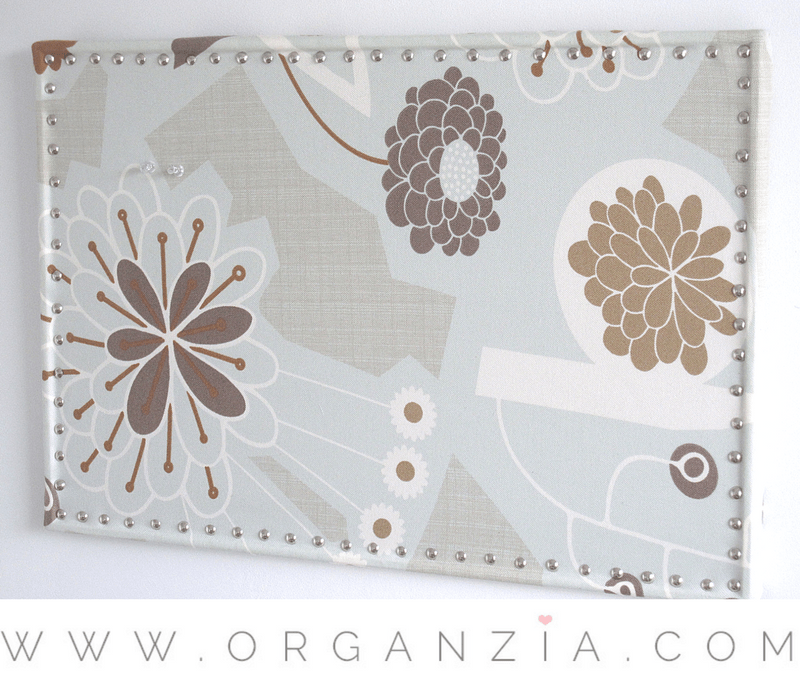 I love bulletin boards but hate how boring they look, and the cute are also so expensive. This would only cost a couple bucks more to do. 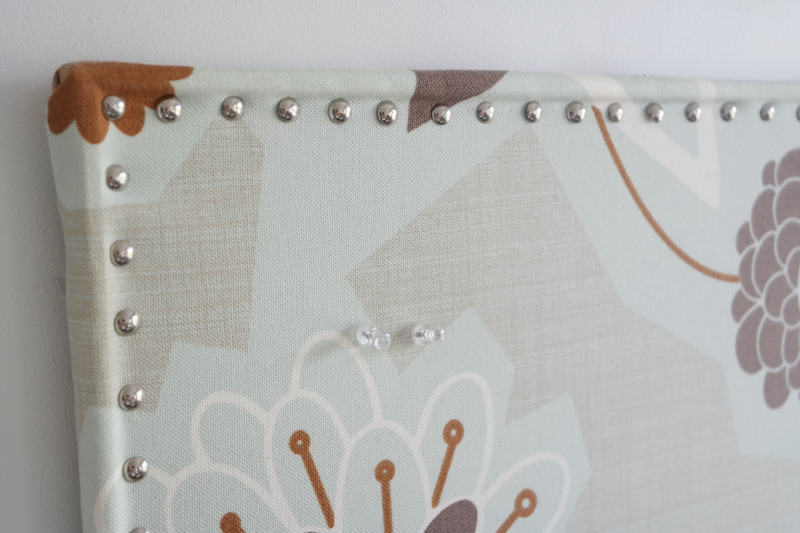 And I have some blingy push pins I’ve been dying to use. Have you found any types of fabric to be better or worse for this? Love this!!! I’ve got to try this!